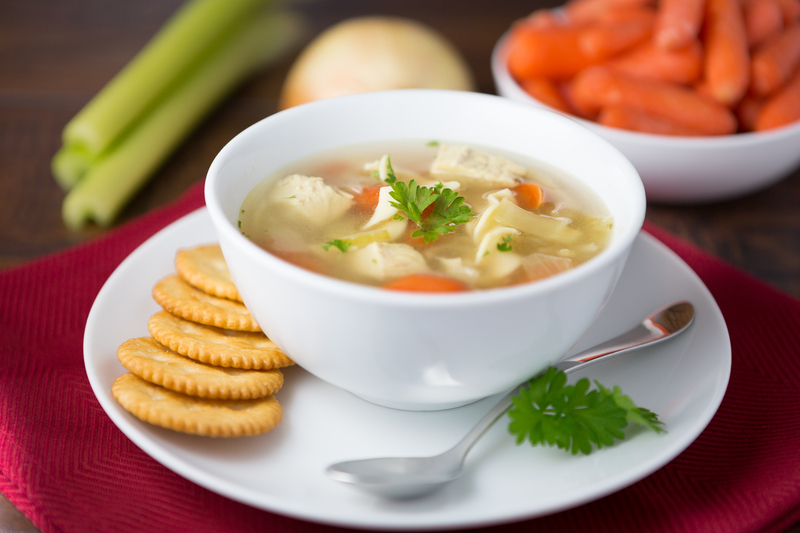 Tender bites of chicken, with chunks of carrots, celery, and onions, surrounded by fluffy egg noodles, swimming in a rich and flavorful broth. 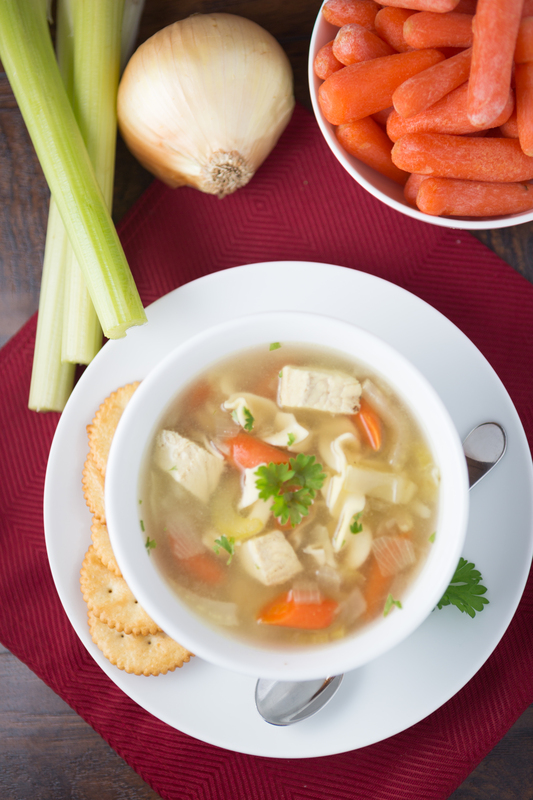 Healthy and Easy Chicken Noodle Soup is hearty, filling and nutritious. It’s the perfect thing to fill your tummy, and warm you up on a freezing cold night. A belated Happy New Year to you!!! What a crazy year 2014 was! I’m just glad that last year is behind us, and I’m looking forward to everything that 2015 has in store. I hope you’ve had an excellent start to the new year so far! The last two weeks have sure been busy around here. Besides the normal day-to-day routine of work, errands, laundry, cooking, fun, etc., we’ve also had a few other adventures. We had a very fun (and quiet) New Year’s Eve celebration at home. William loved going to a friend’s bowling birthday party last Sunday. He’s starting to become quite the bowler, and is especially good at Wii bowling. (Today he bowled over 200!) Andrew and I had a wonderful and super relaxing date night out on Friday night. We went to Crispelli’s, and enjoyed amazing brick oven pizza. Sometimes I forget how nice it is to have a night just to focus on each other. This week was also the one year anniversary of my first post on Elizabeth’s Home! It seems like yesterday that Andrew and I were hard at work trying to get Elizabeth’s Home up and running. I can’t believe we’ve been posting for a whole year! We celebrated last night by popping a special bottle of Santa Margarita wine. We first tasted this wine when we were in Santa Margarita, Italy on our honeymoon. Ever since then this wine has become a very special and sentimental favorite for us. 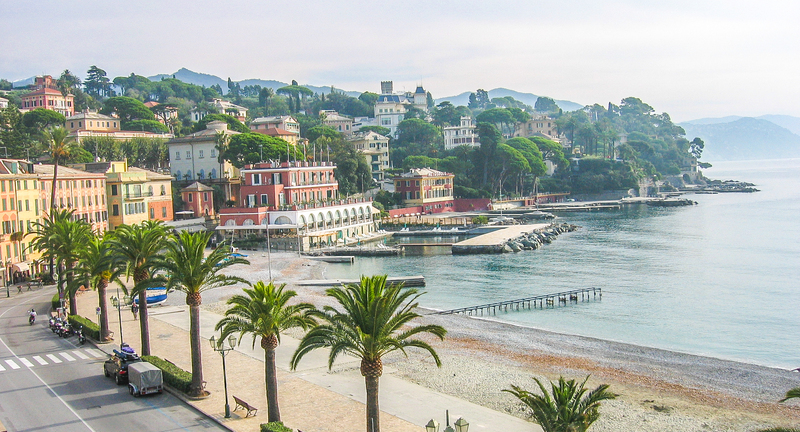 Here are two pictures of Santa Margarita from our honeymoon. I’m so thankful for Andrew and all that he does for this blog! I am also thankful for you, my wonderful and loyal followers! I am honored that you keep coming back to read about our lives, and to share in the enjoyment of our favorite recipes. 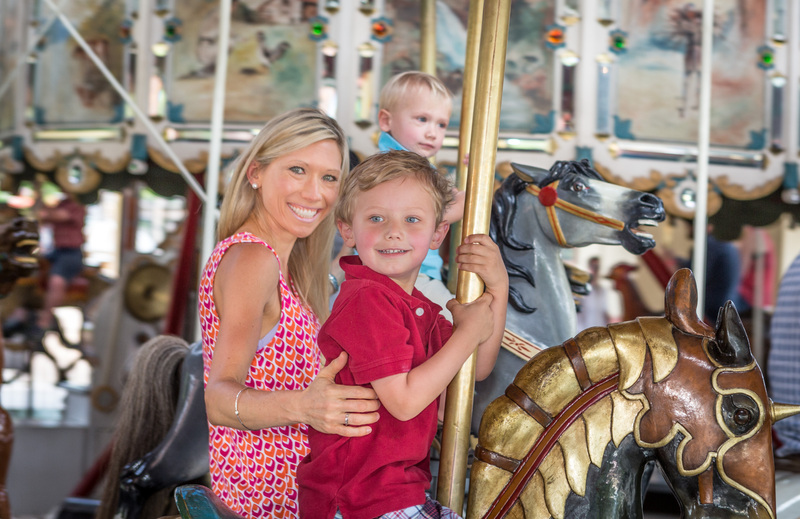 I’m so excited to share many more memories and fun recipes with you in 2015! After all of the delicious and filling holiday goodies, here’s a great recipe to help lighten up your new year’s resolutions. There is just something so wonderful about a nice warm bowl of soup. This soup is EASY to make and comes together pretty fast. I love the depth of the flavors, with the juicy chicken and tender veggies. It is just sooo yummy! Another plus is that it even freezes well, too! This was one of my many recipes that I made a triple batch of right before Charlie was born. It’s always nice to have a stash of homemade chicken soup on hand whenever you might need it! Sometimes I use organic chicken broth or stock with this soup, but lately my favorite thing has been Better Than Bouillon Organic Chicken Base-Reduced Sodium. It’s super easy to keep around, and it basically lasts forever in the fridge. It’s especially great if your recipe only calls for a cup or two of chicken broth, but I’ve also been using it with this soup and we’ve been loving it! 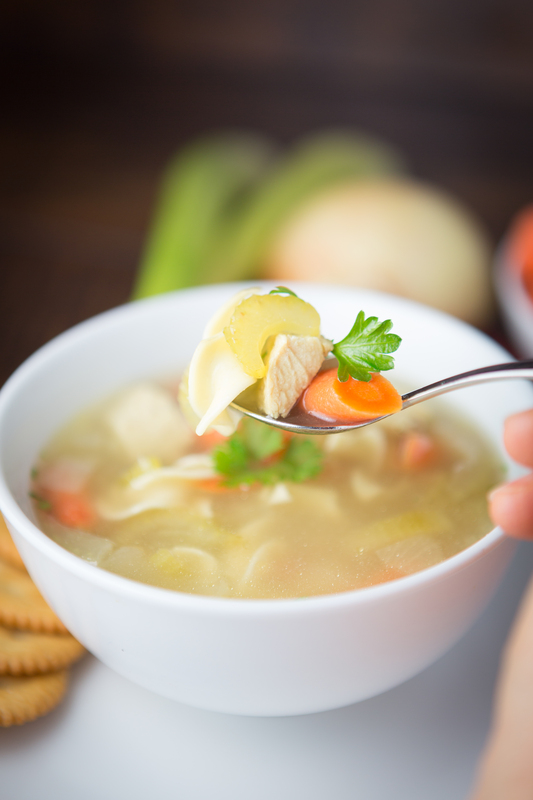 As the temperature continues to drop, and you’re searching for that good-for-you comfort meal, this Healthy and Easy Chicken Noodle Soup is just what you need! This soup makes the perfect meal for many occasions. 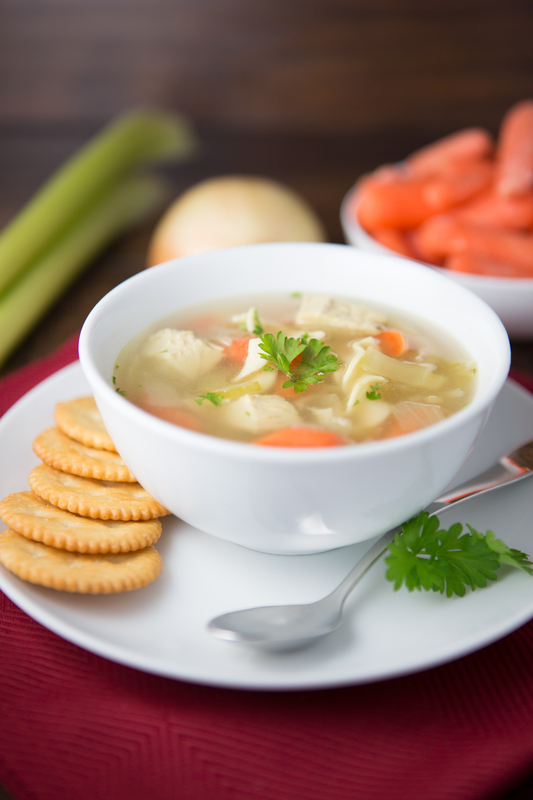 Comforting on a chilly night, nourishing during sickness, or just delicious anytime. 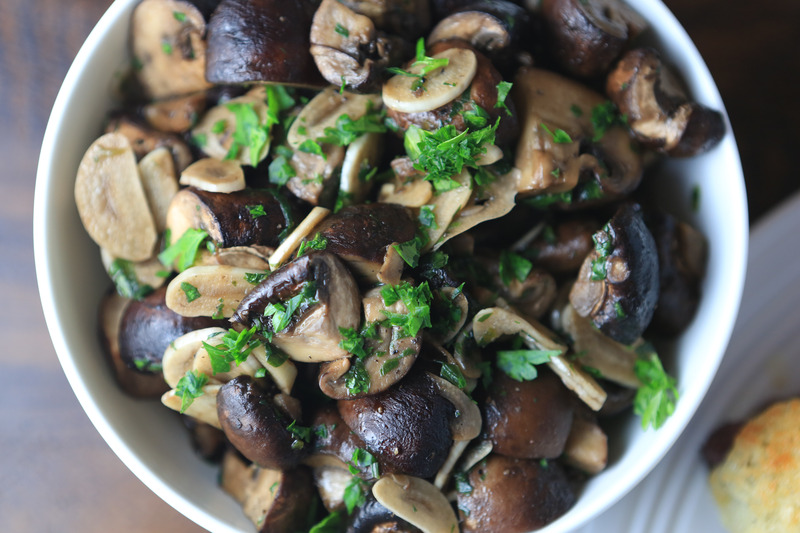 I love to serve it with a green salad and crusty french bread or crackers. Heat the oil in a large Dutch oven over medium-high heat until shimmering. Add the onion, garlic, carrots, celery and salt. Stir together and cook for about 3 to 4 minutes. Then cover and cook until veggies are slightly softened, about 10 minutes, stirring occasionally. Stir in the broth, thyme, dried parsley (if using), and bay leaf. Bring to a simmer, uncovered, and cook until the vegetables are tender, about 15 minutes. Add the chicken and stir in the noodles, and continue cooking over medium-high heat until pasta is cooked, about 8 to 10 minutes. Season soup with salt and pepper to taste, and add fresh parsley if using. To cook the chicken: Place raw chicken breasts in a medium sauce pan and add water to just cover. Add 1/2 teaspoon garlic powder and 1/2 teaspoon onion powder to the water. Simmer over medium-low heat for about 20 minutes or until chicken is just cooked through. Carefully remove chicken from pan and set aside on a plate to cool. When cool enough to handle, shred or cube chicken. To freeze: Cook soup as instructed and omit noodles. After freezing, reheat soup and add dry noodles when simmering, and cook until noodles are tender, about 8 to 10 minutes. 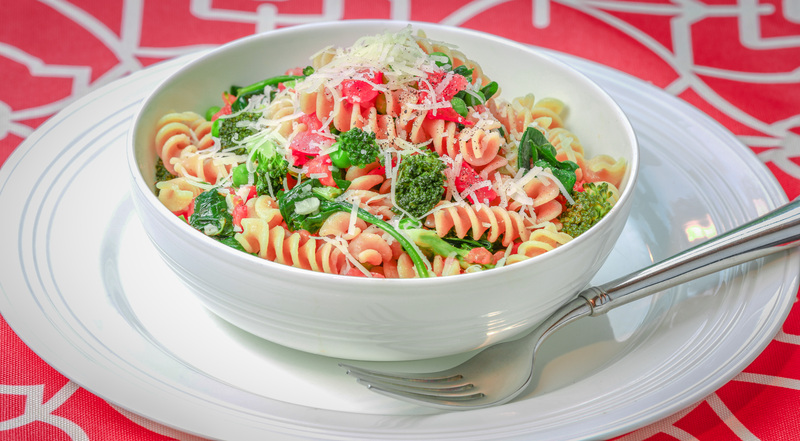 Perfectly cooked pasta surrounded by fresh spinach, broccoli, tomatoes and green peas. Sautéed in a flavorful white wine sauce, and topped with a heaping helping of parmesan cheese. 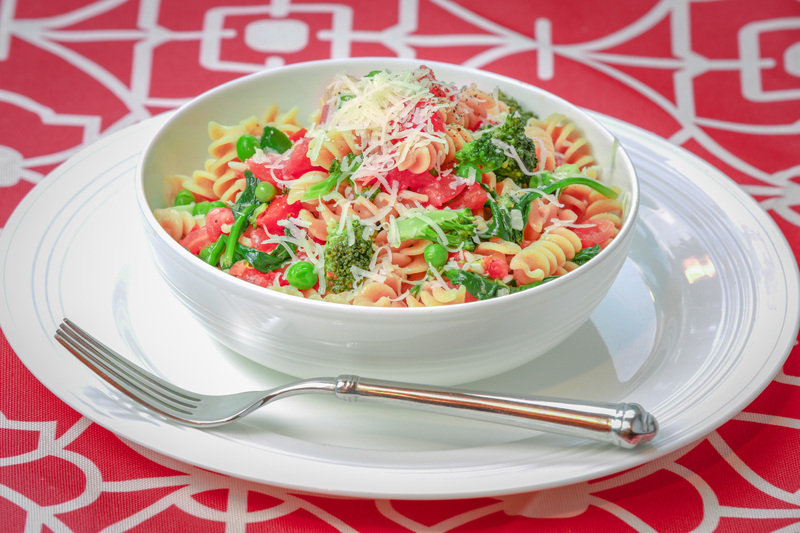 Whole Wheat Pasta Primavera packs a ton of veggies and rich flavors into a little bowl of fall perfection. It seems like fall is officially here, and the temperatures are dropping. What could be a better way to welcome the cooler weather than by cooking up a huge bowl of this light, flavorful pasta dish. Overflowing with fresh veggies and tender whole wheat pasta, this is one recipe that you will definitely want to add to your fall (or anytime) favorites! This recipe was inspired from a restaurant we loved in Atlanta, called Figo. I remember having this dish quite often when I was newly pregnant with William, and we were going through a move. When I was pregnant with James a few years ago, I was seriously craving this meal, and was more than inspired to recreate it at home. I pulled up the menu on their website to gather all of the information I could on this one, and then put my thinking cap on. With a few tests and tweaks, I am so excited to say that I think this recipe is even BETTER than the dish from Figo. It’s just that good! I love how the curly pasta soaks up the flavor of the white wine sauce and the fresh veggies. The extra-virgin oil and parmesan cheese add the perfect depth and richness. 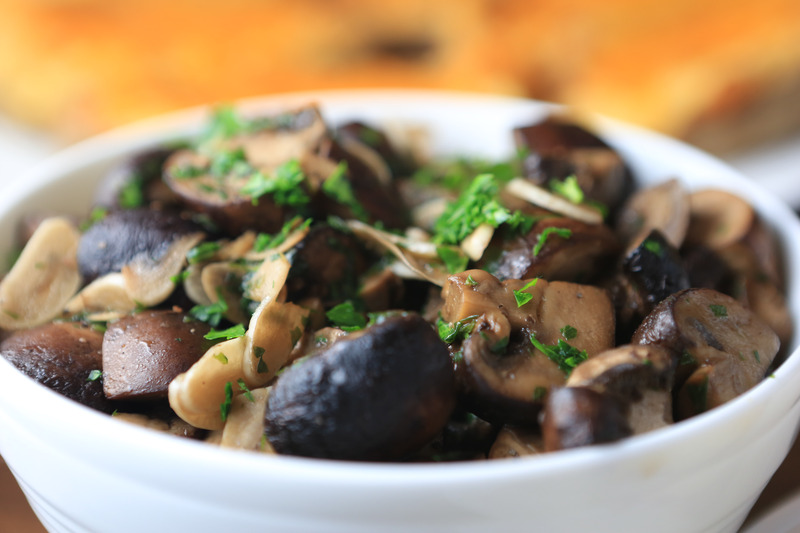 This can be a great “meatless” meal, or add strips of grilled chicken for some added protein. Whole Wheat Pasta Primavera is an easy to make, one bowl meal that is sure to satisfy your entire family. In a large pot, bring water for pasta to a boil. When water is boiling, add 1 teaspoon of salt, and the pasta to the water and stir. Cook until al dente, drain pasta, then move to a large bowl, and toss with 1 tablespoon (good quality oil), loosely cover pasta with foil and set aside. Now, in a large sauce pan over medium heat, add 1 tablespoon oil and heat until shimmering. 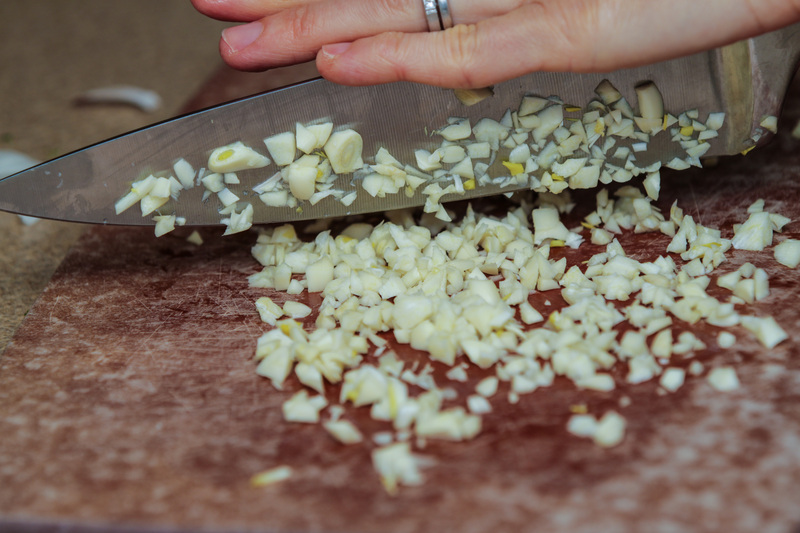 Stir in garlic and cook for about 30 seconds or until fragrant. 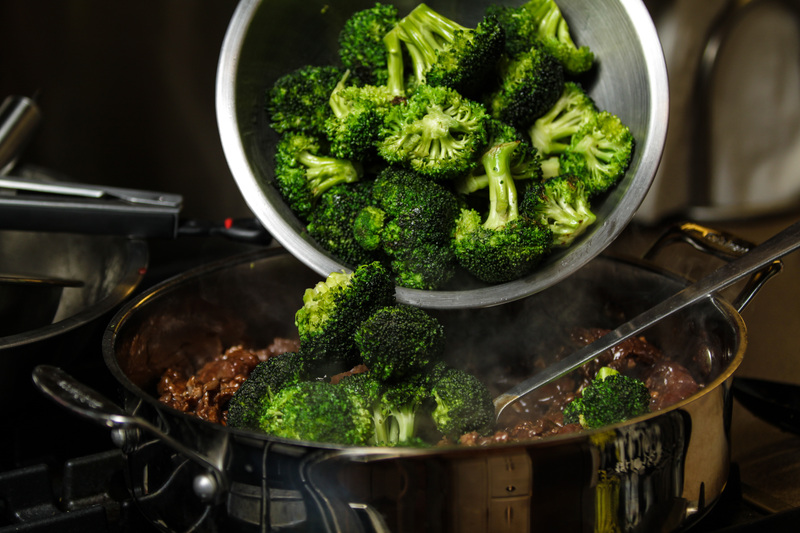 Add tomatoes, broccoli and wine, and cook for about 5 minutes or until vegetables are slightly tender, stirring often. Add spinach and peas and cook for 2 more minutes, stirring. Season with salt and pepper and remove from heat. Move sauce to a serving bowl, and toss with 1/4 cup good quality extra-virgin olive oil. To serve, spoon 1 1/2 cups of pasta and 1 cup of sauce in a bowl and gently stir together, top with cheese and serve. For multiple servings, combine all of the pasta with the sauce in a large serving bowl. Toss together and then divide into individual bowls, passing the parmesan as you go. 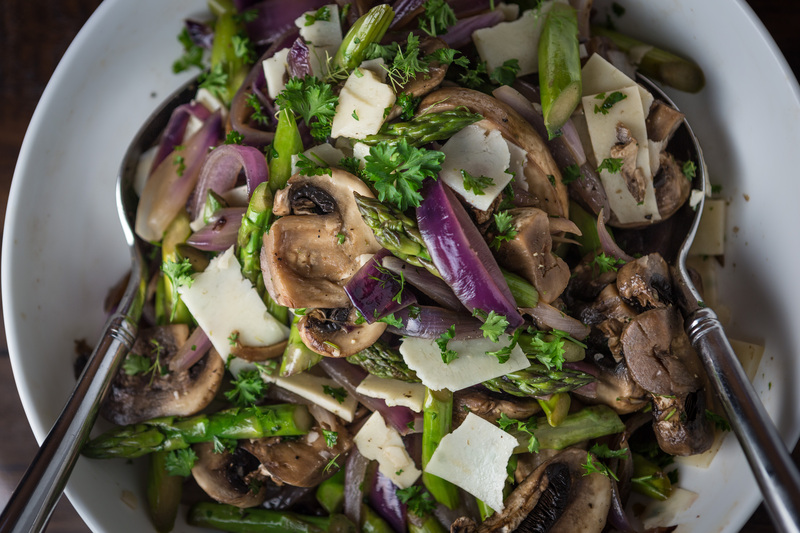 Check out my earlier version of this Pasta Primavera recipe on my old blog. 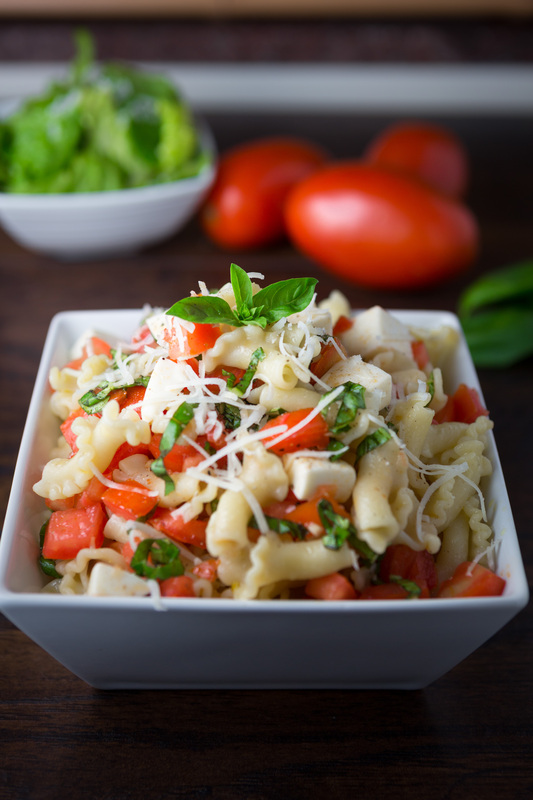 Beautifully ripened tomatoes, creamy mozzarella, garlic, basil, and perfectly cooked pasta, tossed together to create a great summer dish. 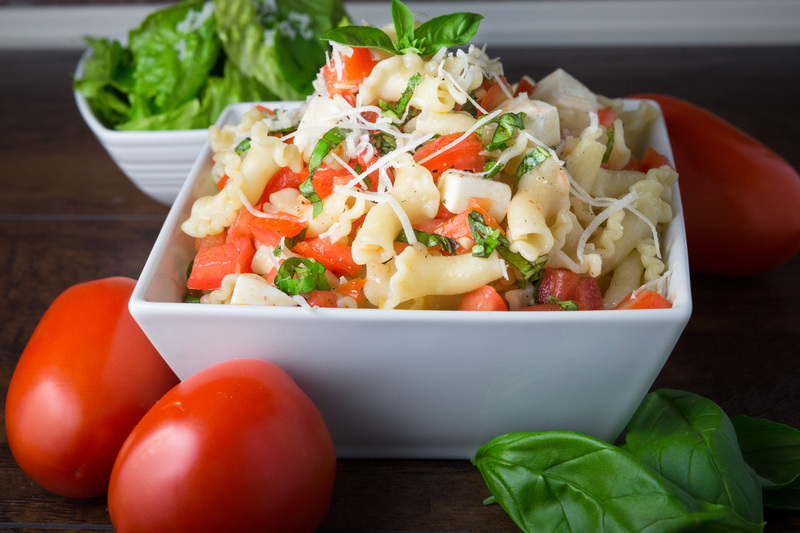 Pasta with Tomatoes, Basil and Fresh Mozzarella is an easy to make, simple recipe, that is sure to be a crowd pleaser for any occasion. Let’s celebrate, it’s Thursday! There’s just something so wonderful about Thursdays. I guess it’s the fact that most of the work week is complete, and the thrill of the upcoming weekend is finally within reach. Let’s enjoy our evening, and be thankful for a great day. I’m celebrating with a special #tbt (Throwback Thursday) post! 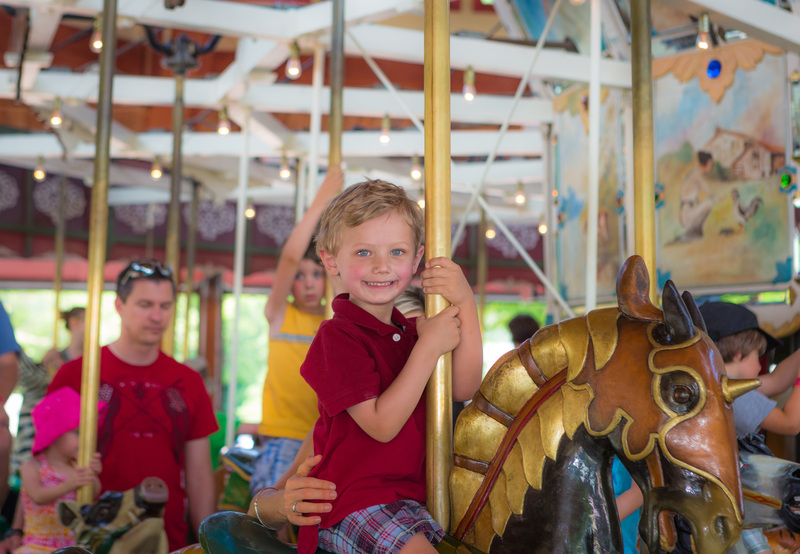 William was just 19-months-old when we headed off to Europe with him (for the third time). Everything I had read before we left, said not to take your toddler to Rome, especially in the month of July. However, being fairly adventurous travelers, and completely up for a challenge, we decided to embrace an incredible opportunity. What an amazing trip it was! We are so blessed to have had this experience, and we cannot wait for our next time abroad. (Although with three little ones, we might have to plan it out just a bit more ;)). 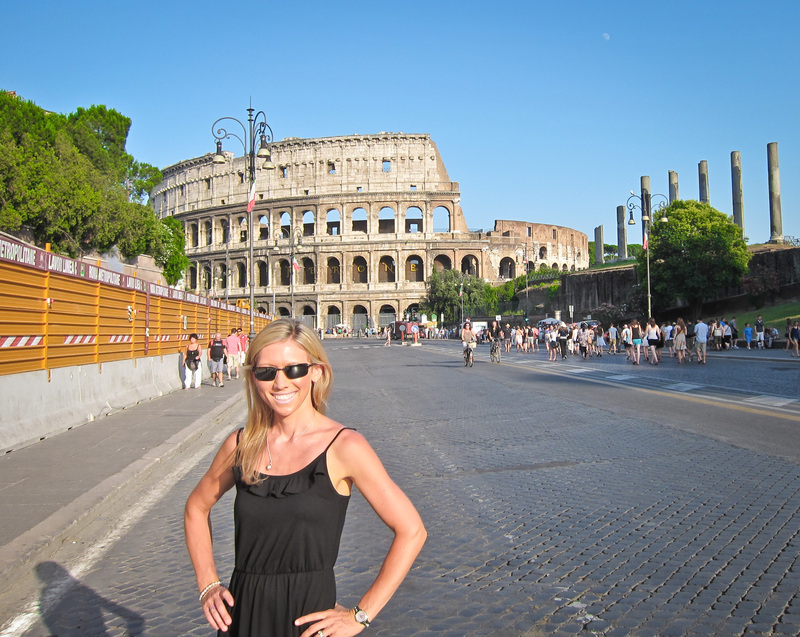 Come join me as we stroll through a few pictures from our journey to Rome, back in July 2011. The food in Rome, and Europe in general, is out of this world! Nothing says “Italy” more than a giant bowl of pasta. One of my favorite meals from our trip was this amazing dish. We were at a darling little restaurant that was located down a popular alley. Thankfully, we were just early enough to beat the dinner crowd. 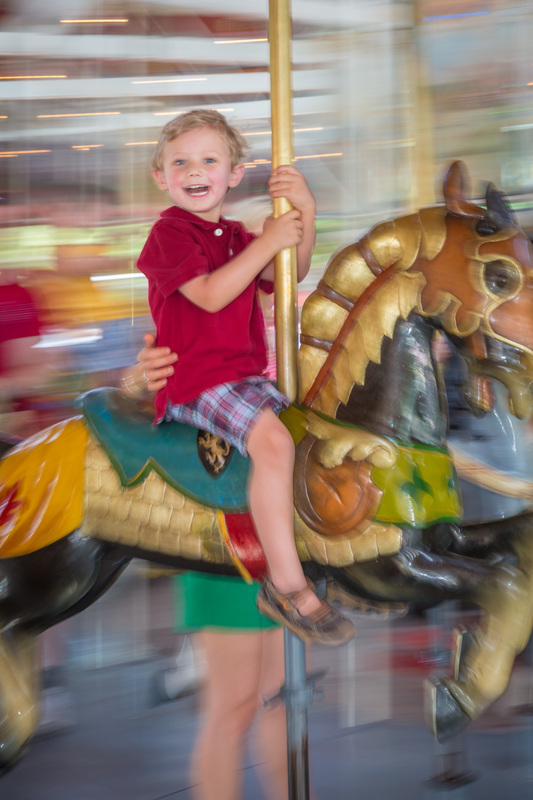 We learned that timing was an important factor when in Rome, in July, with a toddler. That night we enjoyed our dinner outside on the patio. The street was bustling, and a musician was playing nearby. What a fantastic way to dine in Rome! I ordered this wonderful pasta dish with short pasta, tomatoes, basil and fresh mozzarella, (as you can see). It was so yummy, and yet so simple. I enjoyed this meal so much on our trip, that I knew it would be a great one to recreate at home! When summer roles around, there are a few flavors that I often feel compelled to work into our menu. I just adore the combination of tomatoes, mozzarella and basil! The ripeness of the tomatoes play a huge role in the end result of this recipe. Try to find the freshest, ripest tomatoes that you can. When it comes to preparing the basil, here is an excellent visual of the best way to thinly slice (chiffonade) basil. Thanks for joining me on our flashback to Rome! Now, put your feet up and relax. Imagine you’re sitting on the patio of a fine Italian restaurant, and enjoy the goodness of these fresh summer flavors. Combine the tomatoes, basil, garlic, oil, and a generous amount of salt and pepper in a medium bowl. Stir together, then cover with plastic wrap and let sit out (do not refrigerate) for at least 30 minutes, or up to 4 hours. Stirring occasionally. Cook pasta until al dente, make sure to reserve 1 cup of the cooking water, then drain. 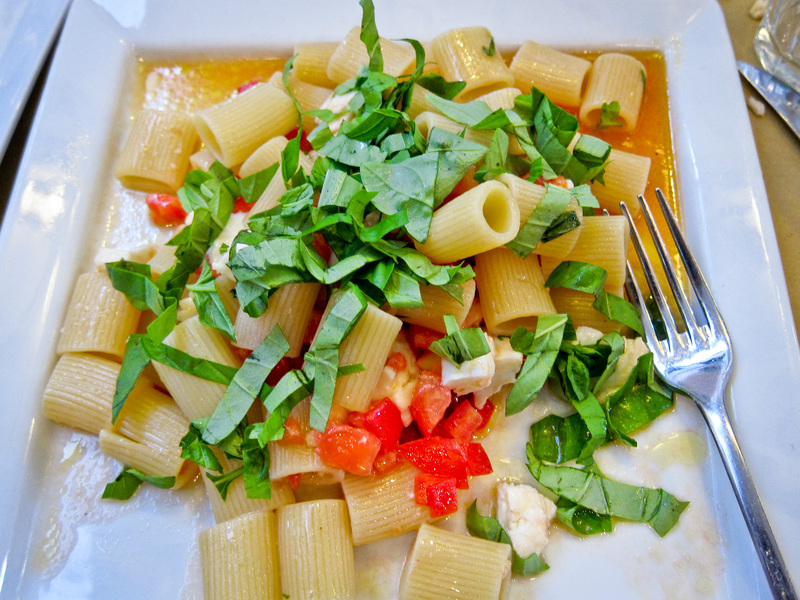 In a large bowl, toss the pasta with the tomato mixture and fresh mozzarella. Add some of the cooking water if needed to loosen the consistency of the sauce. Serve immediately, and top with fresh grated Parmesan cheese. To thinly slice (chiffonade) basil, stack 10 of the basil leaves on top of each other, then tightly roll them up the long way. Using a sharp knife, slice rolled basil into very thin slices. Then fluff and gently separate slices. This is dish is usually served slightly warm from the heat of the cooked pasta. However, if you desire to have the cheese melted, or for a slightly different experience, this dish (or portions of it) can be placed in the microwave for 1-2 minutes, without further cooking the pasta or tomatoes. Leftovers can also be reheated in the microwave for a minute or two. Feel free to check out the earlier version of this Pasta with Tomatoes, Basil and Fresh Mozzarella recipe on my old blog. 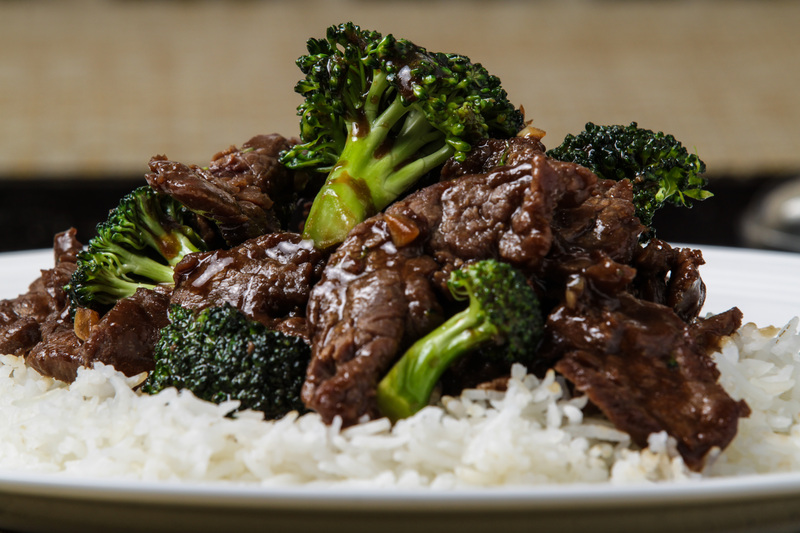 One of my husband’s favorite meals is beef with broccoli. On one of our very first dates, probably date number 4, Andrew took me to one of his favorite Chinese restaurants, Szechuan Empire. He was so excited to share it with me and could hardly contain his excitement as he told me about his love for his all-time favorite Chinese dish. Before Andrew, this was not my usual Chinese dish, or even one that I had ever tried. However, I remember I was pleasantly surprised with how delicious it was. 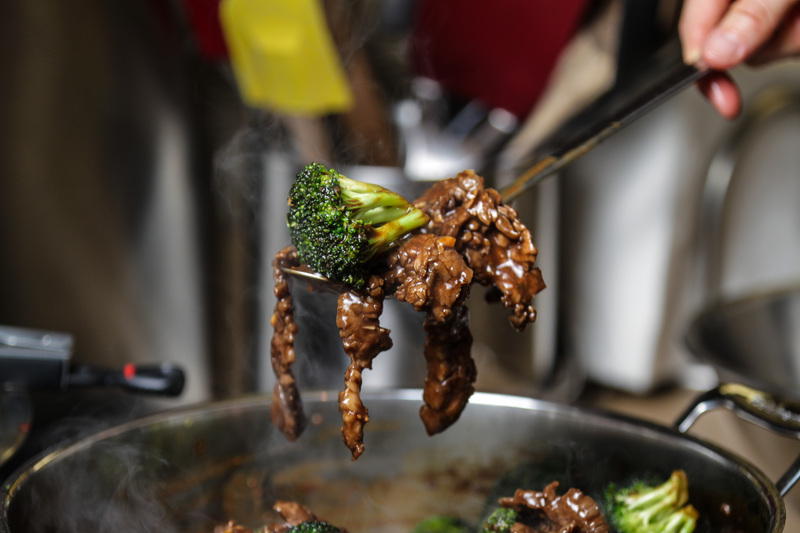 I think it was a couple years back that I first got the idea to try and recreate Andrew’s favorite beef with broccoli at home. The first, probably six, attempts were yummy and did get eaten, but just weren’t quite there. It wasn’t until we filled our plates, and took our first bite of THIS recipe that we knew it was a winner! 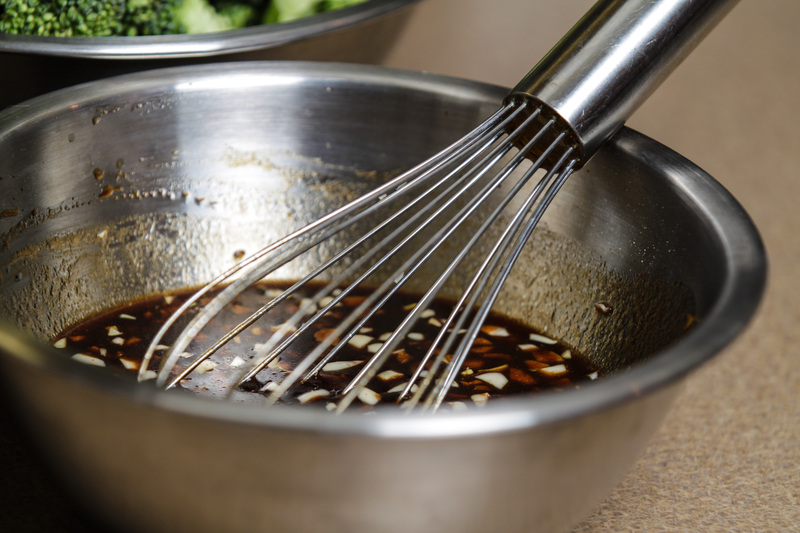 In a large bowl, add the cornstarch, baking soda, sugar, soy sauce, water and oil, and whisk together. Slice the steak, against the grain, into thin strips (about 1/4" thick). Add the steak to the marinade mixture and toss until meat is well coated. Cover and refrigerate in bowl for 1-4 hours. 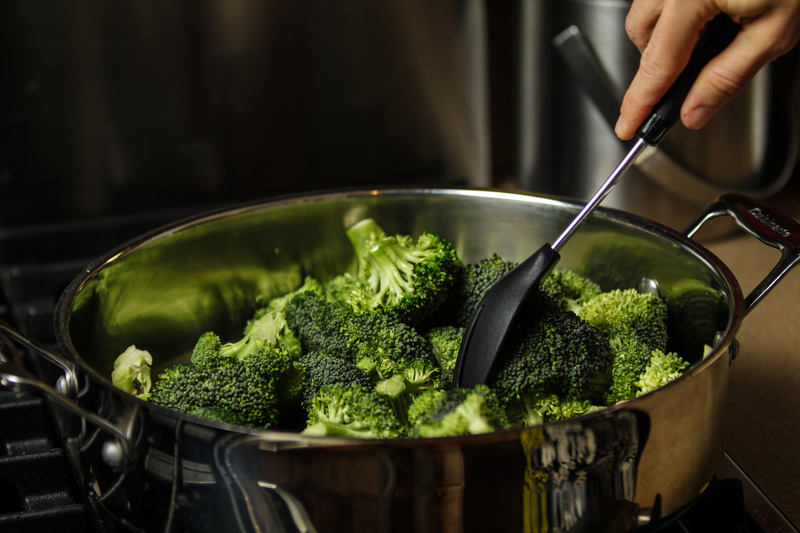 Wash and cut up broccoli into (a bit bigger than bite size) florets, and set aside in large bowl. In a small bowl, add the flour and brown sugar and stir together. Then add the soy sauce and sherry. Whisk together until smooth. Stir in garlic, and set aside. 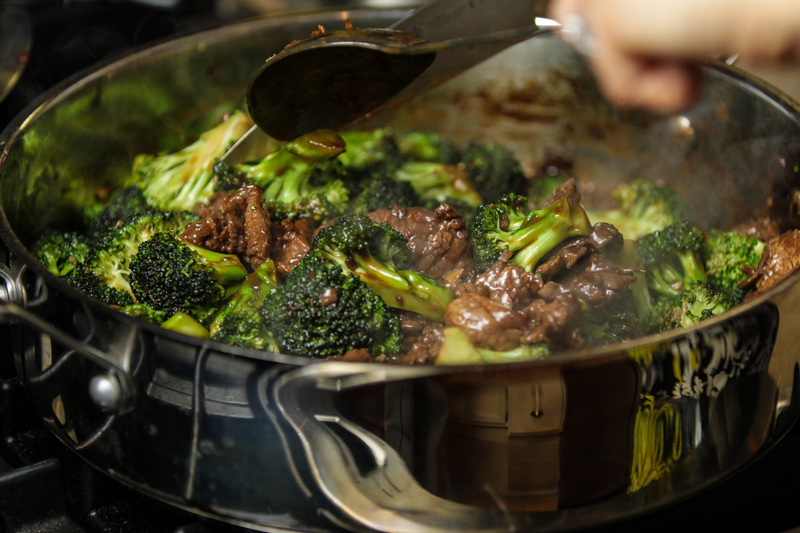 In a large sauté pan, heat 2 tablespoons of the vegetable oil over high heat until shimmering. Add the broccoli, cover and cook for about 3-5 minutes, stirring occasionally, until "almost done". Return broccoli to clean large bowl. Using the now empty pan, over medium-high heat, add the remaining tablespoon of vegetable oil. 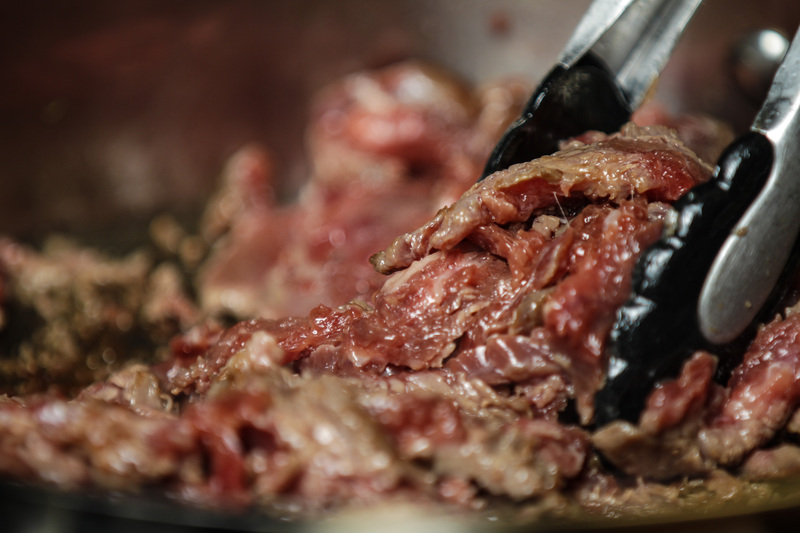 When shimmering, add the beef and half of the sauce and cook for 3-4 minutes, stirring often, until the meat is cooked through. 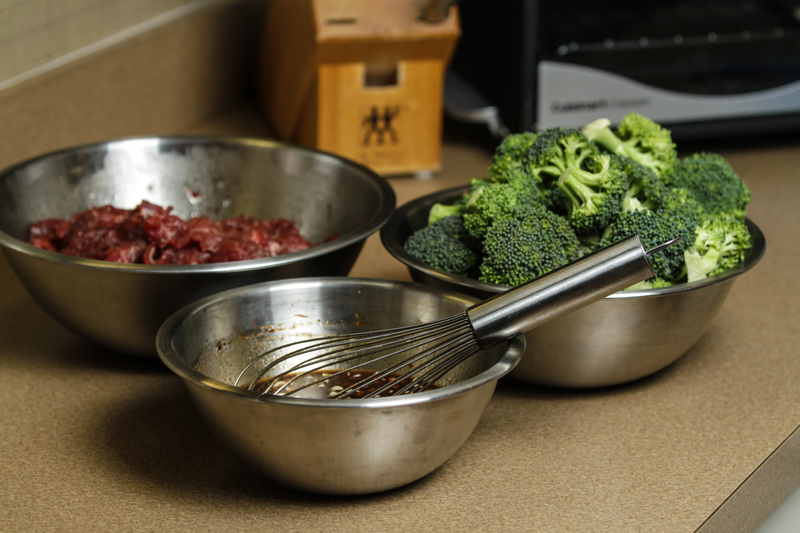 Add the broccoli and the remaining sauce and stir together. Cook for 1-2 minutes more until the sauce is nice and thick. Serve immediately over white or brown rice. Enjoy! Be sure to use low-sodium soy sauce, otherwise the sauce will be too salty. If time allows, try to take the meat out of the refrigerator about 30 minutes prior to cooking to bring to room temperature.